A comprehensive guide to Spanish wine runs to over 1000 pages – this is a country with a seriously diverse cellar. Spain is the world’s second-largest wine producer, falling just behind Italy. Spain produces more than 46 billion litres of wine per year. The country hosts more than 2 million acres of vineyards, growing more than 200 grape varieties. With such an astounding output, it’s no surprise that Spain is home to many, many wine regions. Spanish wines also come with a complex classification system, according to different EU and national standards, with sub-classes extending from broad climatic regions to specific estates. So, where to begin? The easiest way to break down Spain’s wine industry is to become familiar with the mainland’s six major climatic regions and their key varieties. The ‘Green’ region, bordered by the Bay of Biscay in the north and Portugal in the southwest, is a particularly pretty area. The Atlantic Ocean bears down on the west, while the Cantabrian and Basque mountains rise in the south. This mountainous shelf creates lush green valleys in the north. Here, you’ll find zesty whites and aromatic reds; the dominant grape is Albariño, with Godello, Treixadura and Mencia vines also staking claims on the region. A particular speciality is Txakoli, a dry, lightly sparkling white wine. This has high acidity and low alcohol content. Sommeliers will pour this into the glass from a height so you can see the light dance in the fizz. Just to the south of the Green region, the Duero River Valley stretches from Portugal in the west to Rioja in the east. In fact, the river enters the Atlantic Ocean at Oporto, Portugal, a town famous for its fortified wines. This ‘stronger’ vein runs through many of the wineries lining the river bank, making wines from this region popular matches for hearty lamb and goat dishes. 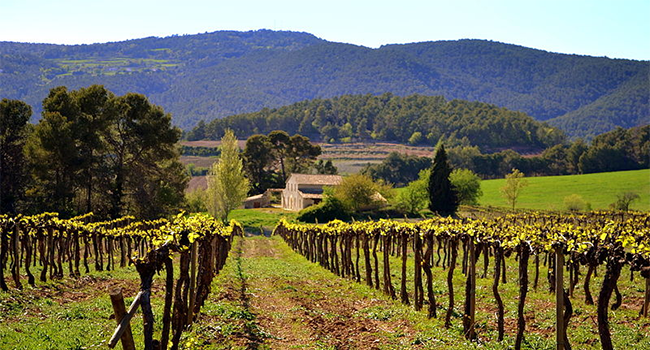 This valley is home to Spain’s arguably most famous variety, Tempranillo. In Toro, one of the central sub-regions of the valley, the grape is known as ‘Tinta de Toro’ and is considered a mutated version of the traditional Tempranillo fruit. Tourists to the Ebro River Valley will inevitably treat themselves to wines from La Rioja and Navarra, two of Spain’s most well-renowned sub-regions. 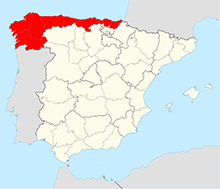 Tempranillo is found here, of course (it is Spain’s most widely grown red variety), and the western border of the region is home to Txakoli whites. Gaining popularity worldwide, Garnacha (Grenache) is key to the Navarra region. The grape here is used for a bold rosado (rosé). Unlike pale strawberry rosés found elsewhere, Navarra rosado is medium-bodied and a garish fire-engine red. The long, skinny strip of coastline along the Mediterranean Sea produces a range of unusual grape varieties. The three major sub-regions here are Catalonia, Valencia and Murcia. Valencia and Murcia are warmer than Catalonia, and encourage growth of Monastrell (Mourvèdre/Mataro), Malvasia and Airén. Cava is the most well-known Spanish Mediterranean wine. Hailing from Catalonia, Cava is a sparkling white or rosado, closer in taste to Champagne than Prosecco. The dry, sunny centre of Spain has been fighting off a reputation for low-quality wines for decades. The arid climate and low elevation led people to assume nothing worthwhile could grow here – but really, this couldn’t be further from the truth. 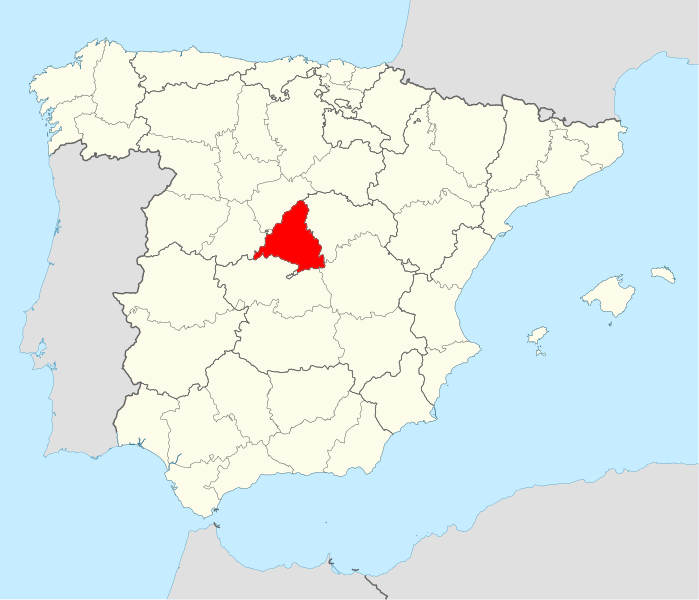 The Meseta incorporates Castilla-La Mancha, a region south of Madrid, which is home to eight of Spain’s 15 ‘Vinos de Pago’ – the most prestigious vineyards or estates in the country. There are no particular varieties that call the Meseta home, but among the Tempranillo, Monstrell, Bobal and Garnacha, you might find a drop of Petit Verdot, a dark variety with flavors of black fruits, wild flowers and coriander. Andalucía, Spain’s southernmost region, is often described as a 'moonscape'; it is dry, rugged and hot, with sun-baked limestone-rich soils. Hardy shrubs and spiny bushes pop up in tufts all over the landscape, and rocky mountains make crumbling heaps along the horizon. Dessert and fortified wines rule here. Sherry, which begins life as a dry wine, is the reigning monarch. To learn more about Western Hemisphere wine regions, watch out for our upcoming course with Hillary Zio!